One of the best things about where I live is the public transport system. Not a very exciting opening, but bear with me and I shall explain. The other night my wife took 2 hours, in heavy London traffic, to travel 5 miles. She commented on her Facebook (she told me about it as well, we do speak occasionally) that she could have walked quicker. In fact, in 2 hours you could have almost completed the London marathon. Not me, a fit person. Although I moan about the underground (some call it the tube or tube train if you’re not a resident, up north it’s the metro, in the states the subway) I do love it. The trains usually run on time and they are pretty regular. It does however have some funny quirks. List time? You bet. 1)Pregnant ladies. Is it better to make a fat girl cry or a pregnant women stand? On a recent journey I did the former. 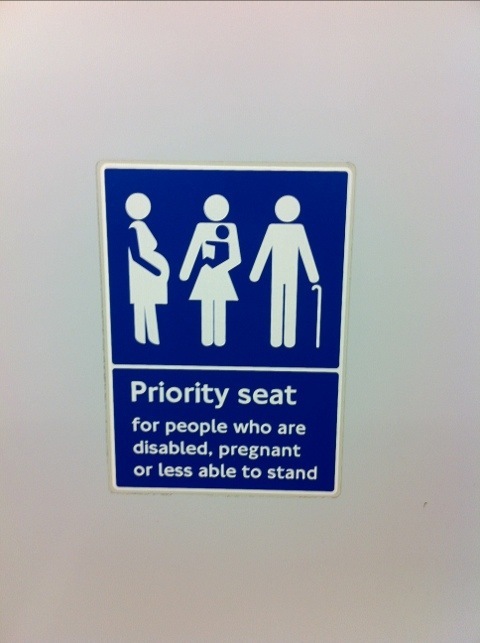 On a very busy train I stood and offered the ‘pregnant’ woman my seat. She looked at me, then at her stomach, then back at me and said no. I could tell I had upset her. No matter how much cake she had eaten she most certainly was not pregnant. I went to sit down again but some crafty person had slid behind me into my seat. I was left, stood next to the lady I had insulted, her staring at me. I got off at the next stop, still miles from home, and waited for the next tube. Ooops. That is why the seat on the end with the sticker over it is known as the danger seat. 2)How old before offer a seat. This is a real double edged sword. In essence, by offering someone a seat due to their age you are saying that they look not only old but feeble. 3) eyes down. One of the unwritten rules is that you do not look at other passengers. They will think you are a little nuts. Conversation is an absolute no no. I lived up north (York) for a whole year and couldn’t get used to random strangers striking up a conversation on the bus. It’s a southern thing I suppose. 4) elbows out when you disembark. This shows my mean side really. I believe that people should wait to get on until everyone has got off. If they don’t, and if I am getting off, then it’s elbow time. 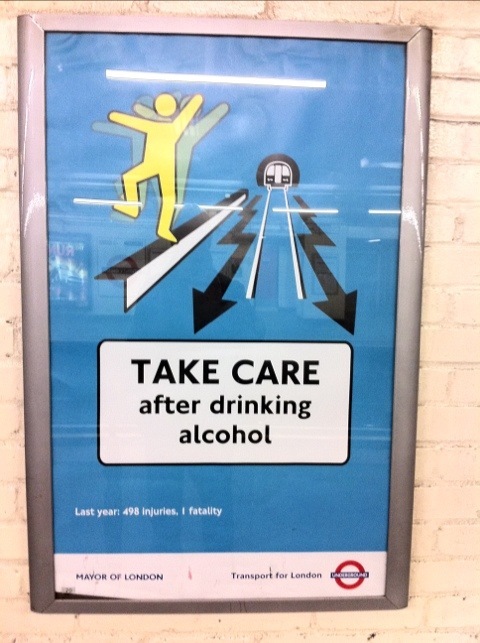 It doesn’t take long to get used to, and so take for granted, the underground system. Years ago while flat sharing, one of the lovely Australians we lived with got very annoyed at people crowding onto the train. This led him to shout, with no sense of irony and in a thick Aussie accent ‘bloody tourists’. The looks of those around him are one of my funniest memories of the time. So yes, you can get into trouble and yes, you can feel like a sardine and yes, you have to mind the gap. The tube though is, in my humble opinion, a real reason to be a proud Londoner.